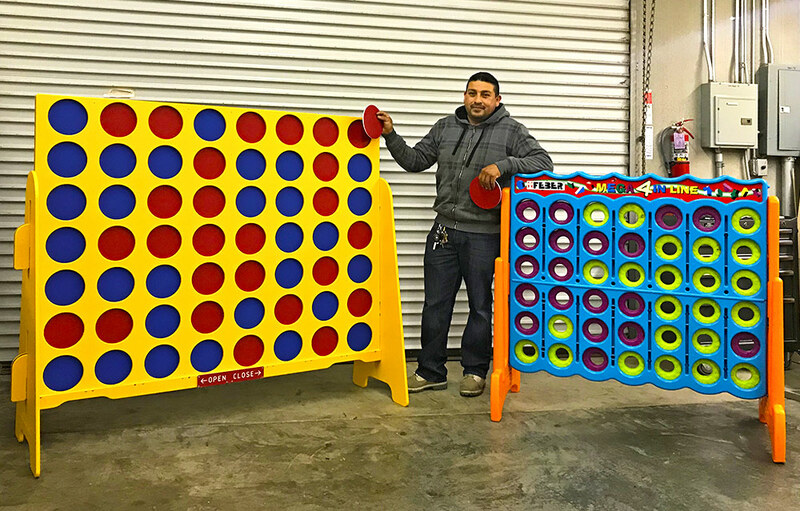 When You Thought Our Jumbo Games Couldn’t Get Any Bigger! 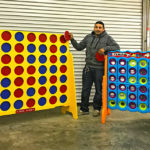 Double XL Connect 4 Game – right when you thought our jumbo games couldn’t get any bigger, Video Amusement introduces our Double XL Connect 4 Game for rent! 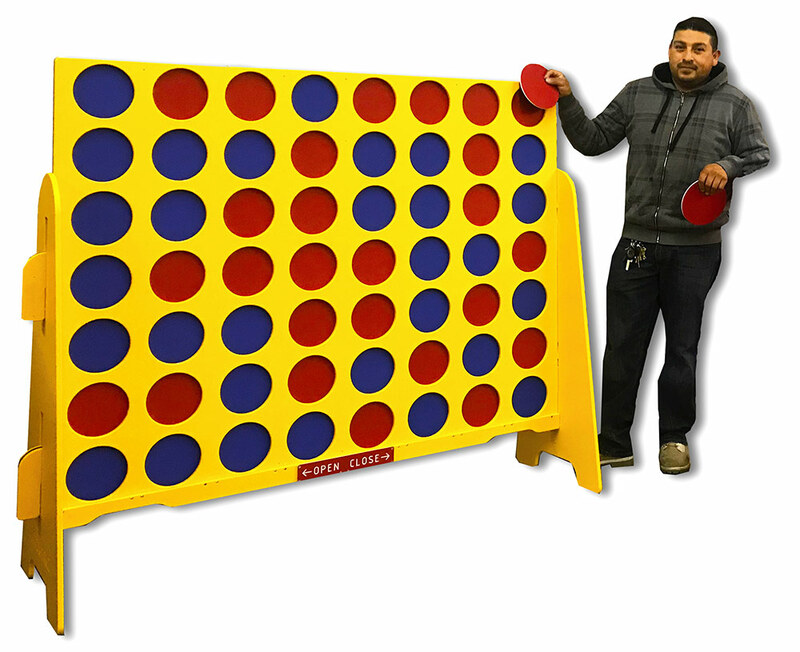 Double XL Connect 4 Game is similar to our Giant Connect 4 game for rent, however, it is bigger and better! 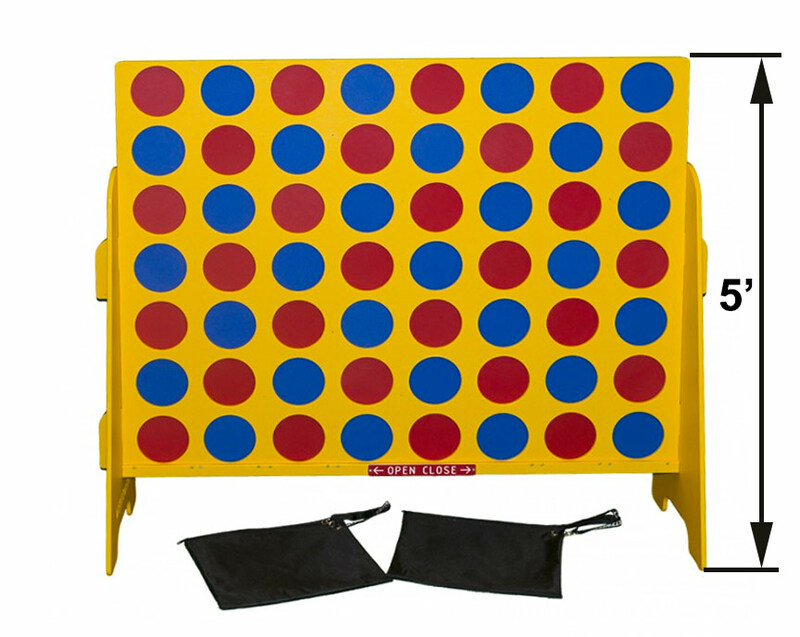 The Double XL rental game has 7 rows and 8 columns, standing at 5 feet tall. 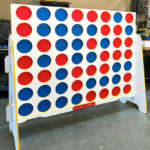 Our Giant Connect 4 stands close to 4 feet tall. 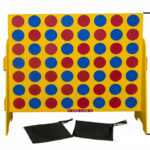 The Double XL Connect 4 Game rental includes 56 pucks – 28 blue and 28 red. Given the size of this game, it is going to be biggest attraction at any event you host! 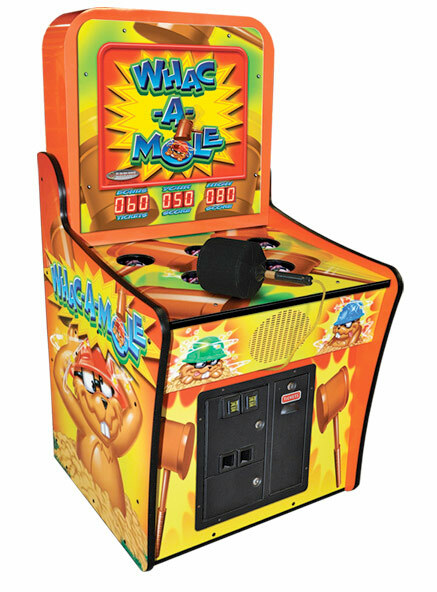 This game for rent is perfect for everyone to play and it will be sure to be a crowd pleaser. 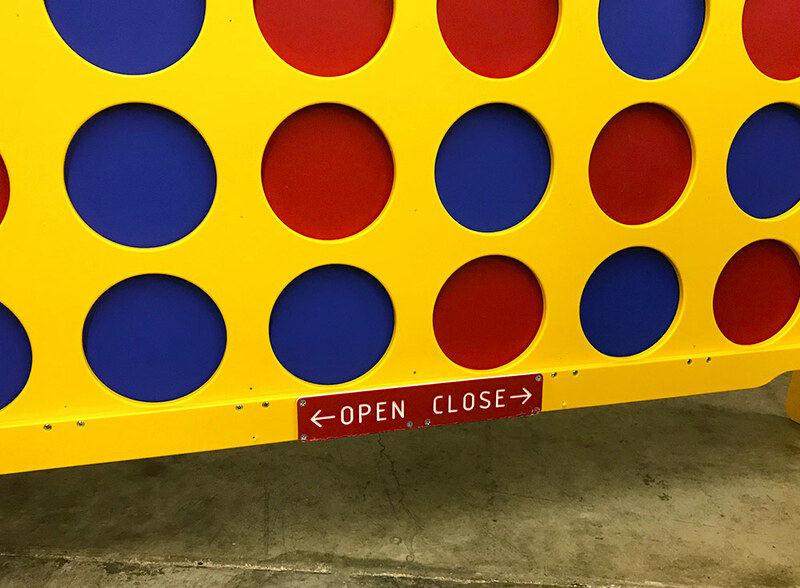 Just like your traditional Connect 4 game, the rules are extremely simple. There are two opponents and the objective of the game is to get 4 pucks in a row first. They can be horizontal, vertical or in a diagonal line – but in order to win there must be 4 pucks in a row of the same color. After the game is over, and you are ready to start a new round, all you need to do is slide the release bar to release all the pucks. 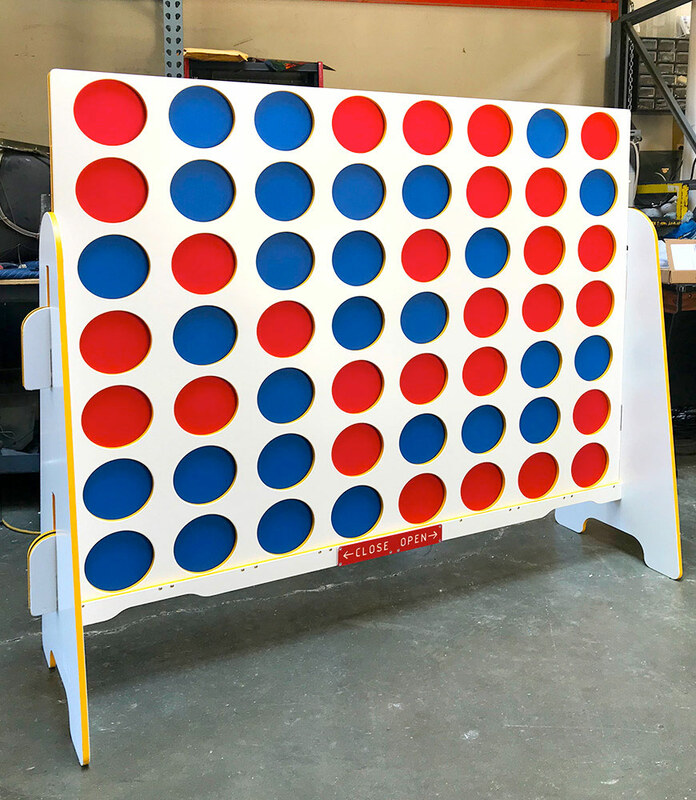 Double XL Connect 4 Game is the perfect game rental for any of your events. 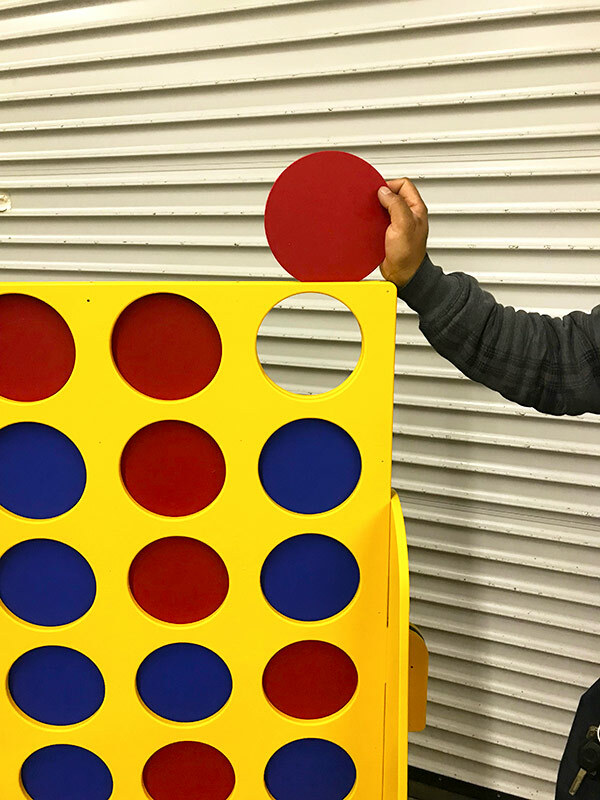 Whether it is a corporate event, birthday party, team bonding event, picnic – this game will be the biggest hit at the party! It is impossible not to have fun playing this game! 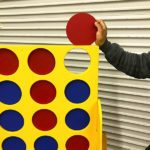 Double XL Connect 4 Game pucks are 7” in diameter. These pucks are completely customizable, depending on the theme or your event or party. Some customization ideas include: company logo, opposing team logos, faces of the birthday girl/boy, and many more. If you are interested in having your pucks customized, please give Video Amusement a call. We will be able to provide you with additional information about the customization options. 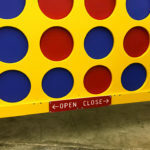 Video Amusement delivers rented Double XL Connect 4 Games in San Francisco, San Jose, Santa Clara. Santa Cruz, Palo Alto. Monterey, Sacramento, Los Angeles, San Diego, Silicon Valley, East Bay, Central Coast and Bay Area cities. We cover Northern and Southern California, Nevada and all the Western States. Planning a large tournament? We have 10 units available in our inventory ready for delivery.